Supplements can absolutely play a vital role in supporting health but if we bought a supplement for every ailment and little issue, we had then we’d have cupboards of them and not much idea what to do with all of them… I can only say this because I’m speaking from experience of many years of working through my own mould illness issues, other hormonal conditions and my MTHFR gene mutation. Below are some of my favourite alternatives for supplements or ‘first port of calls’ if you like, for various common issues. 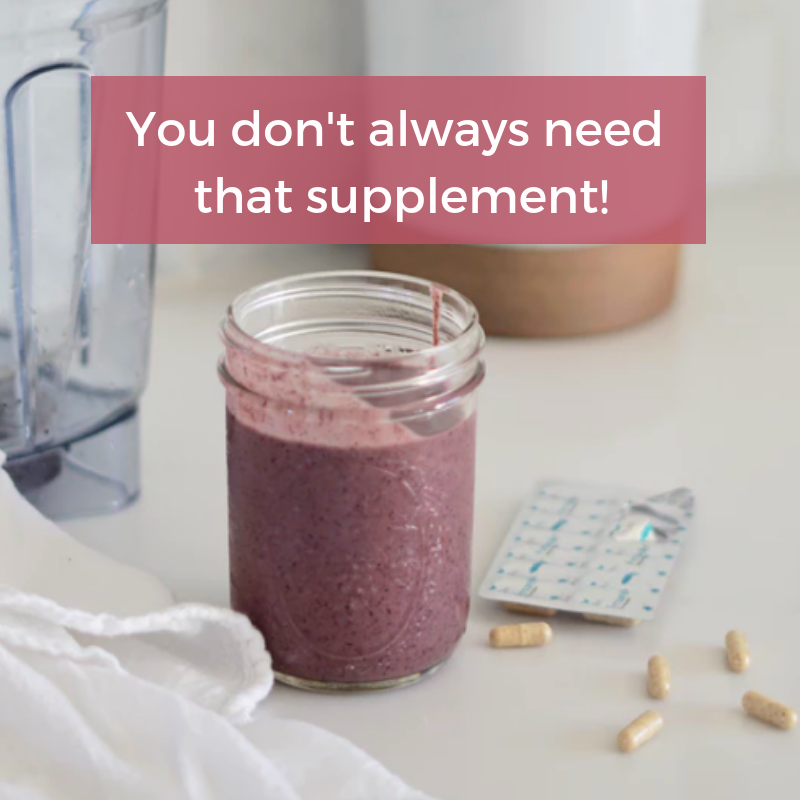 A word of common sense warning: this is not in place of medical advice and you should never come off supplements or medication prescribed by your practitioner without discussing it with them first. #1 You’ve got a yucky cold. We can often spot a cold lingering in the background before it fully flares up. You might be feeling a bit rundown, a bit sinus-y, perhaps your throat is scratchy. You know the drill. Great natural supplements for an acute cold are those containing echinacea, Andrographis, vitamin C, zinc, olive leaf extract and oregano. These supplements support the immune system without suppressing the symptoms thus allowing your body to work through the sickness and strengthen. Load up on natural sources of vitamin C (orange, chilli, capsicums, broccoli, papaya and strawberries). In a review of randomised trials, studies have found that ingesting at least 200 mg of vitamin C per day reduces the duration of cold symptoms by an average of 8% in adults and 14% in children, which translated to about one less day of illness. So that would look like approximately 2 cups of broccoli and an orange. Not bad, hey? Add in some antimicrobials: Eating foods super-rich in antimicrobial/antibacterial properties like garlic, ginger, lemon, coconut oil and apple cider vinegar will help to kill off any nasties in the gut, which could be increasing resistance to getting well again. Studies assessing the effectiveness of antimicrobials like garlic for the common cold have shown promising results. In order to get the best out of garlic and reach the desired allicin content needed for maximum effect, aim to add about 6-8 cloves of garlic to your diet daily during acute illness. The oily factor: You can also whip out some essential oils to diffuse, to support your immunity and calm the nervous system into a state of rest and recuperation. 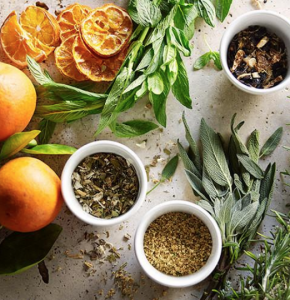 Good oil options include thyme, eucalyptus, lime, frankincense, peppermint, tea tree and lemon. I use essential oils for a variety of reasons in my day to day and have done so for years. If you want to learn more about the oils I choose and how to get your hands on some, have a read here. 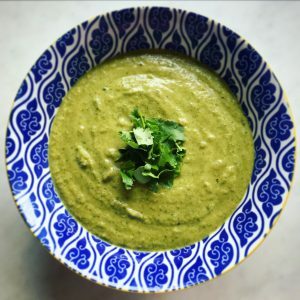 Recipes to try: When you’re gearing up to kick a cold, try some supercharged recipes like my Lemon, Lentil and Lamb Soup, Dairy-free creamy curried broccoli and onion soup or my Simple Lemon, Thyme and Ginger and Honey Chicken Bake. #2 You’ve got a chesty cough. So you’ve worked through the cold and now you’re just stuck with this persistent and annoying cough. The best thing you can do here is to avoid those over-the-counter medicines that are so often FILLED with awful chemical-laced ingredients, fillers and sugars. Yes, they might soothe a sore throat temporarily, but they rarely treat the root cause of the issue. Sip on marshmallow root tea. Marshmallow root is mucilaginous, meaning it creates/encourages the secretion of a coating. This makes it perfect for soothing the throat as it coats the esophagus in a protective layer. 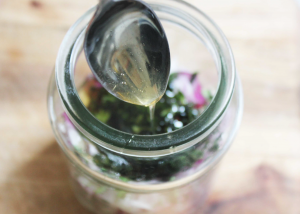 Make up a throat-soothing decoction like this Honeyed-Onion and Thyme Cough Syrup by our resident Low Tox Naturopath, Steph. It’s also a great kid-friendly option. Make a eucalyptus face steamer. Nothing clears out the mucus from a persistent wet cough like eucalyptus essential oils. Simply fill a bucket safely with hot water. Add in 5-6 drops of eucalyptus oil and place your head over the bucket with a towel (to seal all of the eucalyptus in). Take slow and deep breaths into your chest. This should help to clear any mucus in the esophagus and around the lungs. 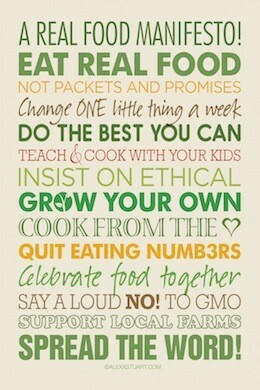 Repeat as needed. Eat plenty of pineapples! Pineapple is rich in bromelain and vitamin C. Bromelain is widely administered for its well-recognized properties, such as its anti-inflammatory, immunomodulatory and circulation stimulatory properties. Research shows that bromelain is a safe and successful therapeutic agent, for a number of ailments, including bronchitis and chronic coughs. Eat it by itself or blitz in a smoothie. #3 You’ve got the runs or a loose tummy. Ain’t it just the worst? Nothing quite makes your day as uncomfortable as having a loose belly. People can often run for the Imodium (a constipating medication) or even supplements like Saccharomyces Boulardii (a natural probiotic which can kill of bad bacteria in the gut which I have to say despite the theme of this post, I would not be without in my fridge not to mention activated charcoal for this same purpose). There are, in fact, quick and safe ways to relieve symptoms of diarrhoea using just what’s in your kitchen. The BRAT method: When you’re in the throes of a tummy bug and unsure what on earth to eat, one of the best fail-safe options is to eat the BRAT way, so (bananas, rice, applesauce and toast). Ensure your bananas are unripe, your applesauce is 100% apple and your toast it a little on the burnt/overcooked side. These foods are all naturally ‘binding’ foods, meaning they can help to firm up your stools. Sip on teas. Specifically those with calming effects (chamomile, peppermint, ginger and fennel) and those with astringent/ tannin effects (black tea and green tea), which can help to bind and strengthen the mucosa of the intestinal tract. Support yourself with essential oils. 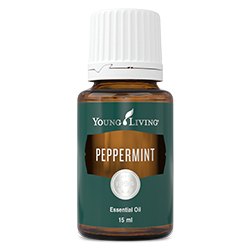 Studies have found that peppermint essential oil can reduce inflammation in the bowel and soothe the digestive tract. Simply combine it with fractionates coconut oil and rub over the belly gently in a clockwise motion or diffuse. NB: If pregnant use any essential oils with caution and if you fancy a wholesale account, I’ve been a long time Young Living lover for their transparency, sustainability and quality. Zero pressure or ra ra, just good stuff. #4 You’re all blocked up and feeling a bit constipated. Much like diarrhoea, there’s nothing enjoyable about not feeling regular. Constipation has been shown to affect mood negatively through the gut-brain axis. Not eliminating daily can also impact your excretion of toxins, meaning a whole host of knock-on hormonal side effects, skin breakouts and digestive concerns. The good news is there are so many easy and effective ways to get your bowel moving along. Sometimes it’s just about giving your guts a little nudge in the right direction. High-fibre moist foods like prunes, dates, well-cooked broccoli and ripe banana. Avoid high-fibre raw foods as they could block up your digestive even more! Go gentle and start with one thing, like a few prunes before any food in the morning, wait a while and see how you go. Drink plenty of water. Often constipation can indicate that you’re dehydrated as stools need moisture to move through the bowel. Make sure that you drink a few glasses of water first thing in the morning to support your digestive motility and rehydrate after sleeping. Drink digestive teas with a mild laxative effect. 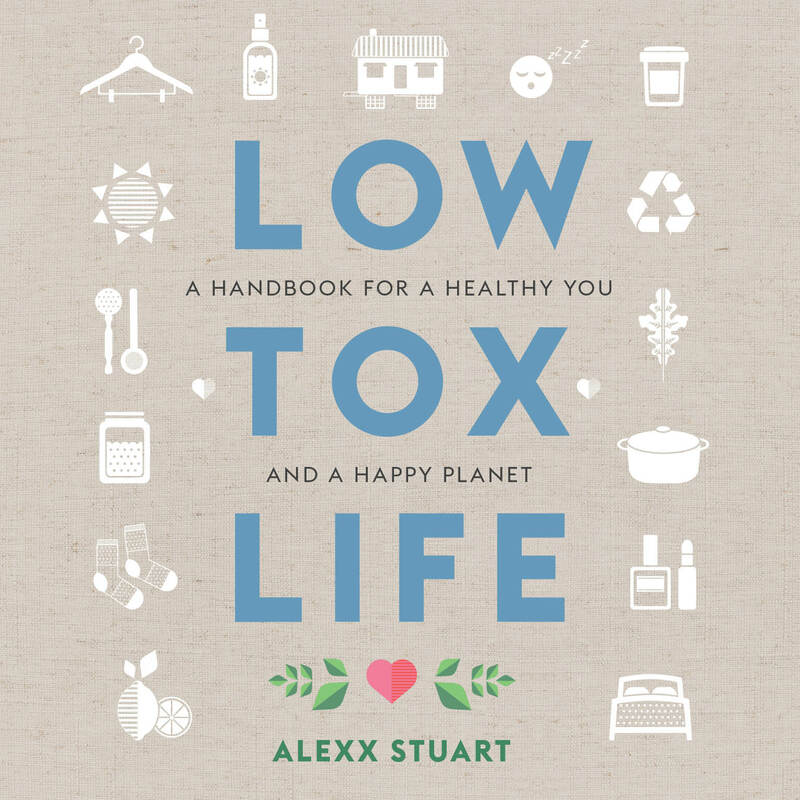 The word laxative can have a negative connotation, but when used in a natural context, it’s about ingredients that stimulate the bowel, relax the muscles and gently gets things moving along. Natural laxative teas include licorice, senna, chamomile, ginger and dandelion root/leaf. Three cups away from meals should help to relieve constipation. I love the Pukka brand and Ovvio Organics. Both are beautiful, high-quality and organic. Have a cuppa Jo. Caffeine has natural diuretic properties. While I don’t advocate you rely on it daily to have a bowel movement, it’s a great affordable and effective tool to use when you need to wake your bowels up. A note to keep in mind: always have a little bit of food in your belly when you’re having coffee. This slows down the release of caffeine into the body and lessens the likelihood of the jitters! #5 Acne is getting you down. Having chronic acne as a teen or an adult can be debilitating and shake your confidence. It’s no surprise that when we’ve had an angry breakout or we’re constantly dealing with chronic skin issues we want to do anything we can to cover it up, get rid of the spots and have beautiful clear skin. And we can! But it doesn’t need to be through the means we’ve been fed by the media – toxic chemical face peels, creams laces with microbeads (mini plastics) and face masks made with chemicals. Instead, take this acne as a sign that something is happening internally that your body needs help with – be it hormonal regulation, elimination issues or a toxic environment. Once you find that out, you can treat your skin with nourishing and thoughtful practices. Switch out inflammatory foods in your diet like dairy, soy, sugar, refined white carbohydrates, gluten, alcohol and caffeine, for foods that support detoxification (broccoli, lemon, Brussels sprouts, cauliflower, kale and watercress). 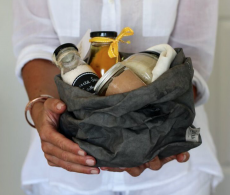 Make your own natural face masks with skin nourishing ingredients like avocado, oats, activated charcoal, egg, honey and cacao (perhaps not all together! hehe). Use green tea bags on your spots. Green tea is naturally astringent and therefore it can help with drying out oily or pustule-like spots on the face. Increase the vitamin A and Zinc in your diet. Both of these nutrients are essential for skin regeneration. 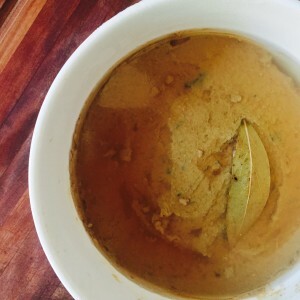 To get your fill, increase your consumption of oysters, liver, legumes, nuts and pasture-raised red meat and If you’re after a power-packed skin recipe try my Fool Proof Chicken Liver Pate! I know that in some cases, supplementation is just well… necessary. But for those things that pop up every now and then, why not try treating them yourself first? Have I missed anything? Share with me below!